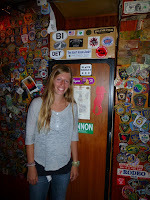 Lindsey writes: "The first one is of me in a pub in Doolin, Ireland. 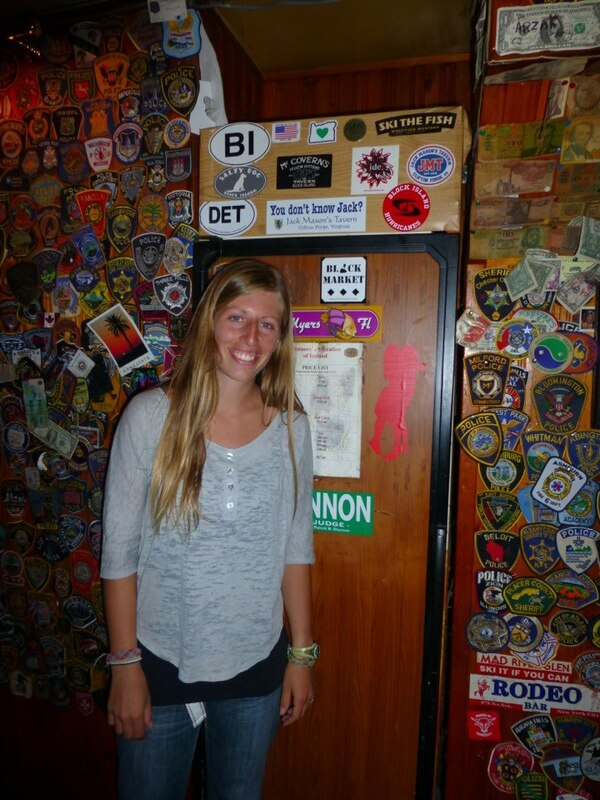 The pub is well-known and has great music, and the bartender brought me behind the bar to help me find a place to put the sticker of me and my boyfriend. 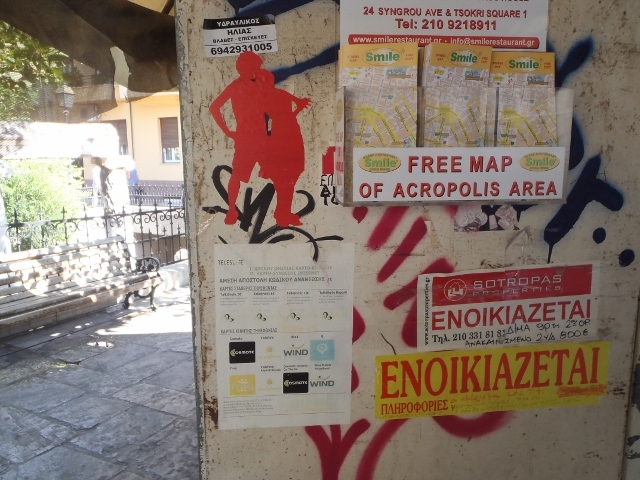 The second one is of another sticker of us we put during a trip to Greece. This is the wall of a kiosk on a side street in Athens, near a fenced off ancient ruin near a standing church. On the wall you can see advertisements in Greek, and tourists maps of the area near the famous Acropolis.The third is taken several months ago on a desert road in Southern Israel. The road is between Shizafon Junction and Arava Junction for those who know it, and the sign is in all three of the official languages of Israel - Hebrew, Arabic and English. It is nearby where I lived."